Tiger Eye 3pcs Pendulum absorbs solar energy and channelizes it to the user. It keeps you grounded and helps you to connect with the spiritual energy. 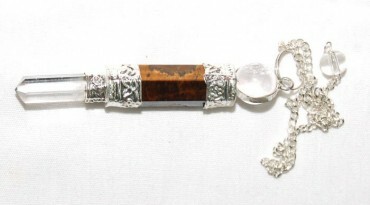 This powerful and protective pendulum is available on Natural Agate.